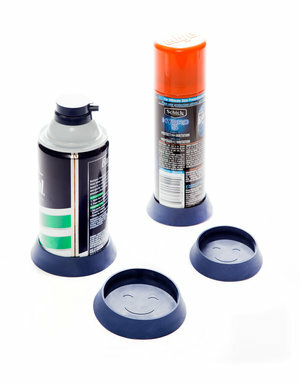 GripOnz: Prevent unsightly ring stains from cans! GripOnz works on most every size can! 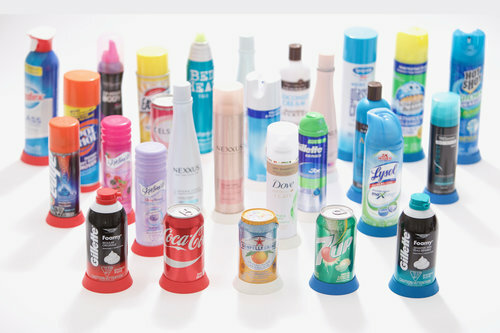 You know what happens when you put a personal care container/ can down on any surface. That's right: that nasty, impossible-to-remove rust or gunk ring. Well, worry no more. 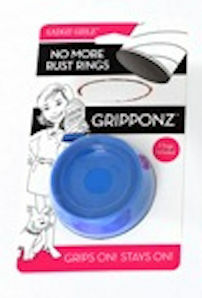 GRIPPONZ snaps on to the bottom of the can and stays on to prevent damage to the surface. When you are done with that can, just remove GRIPPONZ, wash it with warm soapy water, and use it again. GRIPPONZ comes in 2 standard sizes to fit all cans. 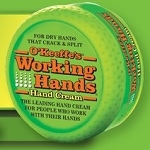 Our small size fits the tall 7-ounce shaving can, or other cans with approximate diameter 2.28". The large size fits those traditional chunky 10-ounce shaving cans (Barbasol), or cleaning agents and other cans with approximate diameter 2.75". 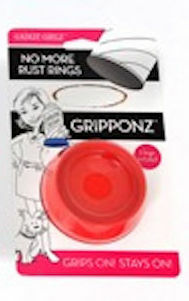 GRIPPONZ grips on--and stays on! Griponz are made 100% in USA (of course). Available in...are you ready? Red, white and blue. You will need to specify size and color when ordering. FREE SHIPPING VIA USPS FIRST CLASS! Was skeptical about Grip-Onz, but they really work. No more tough to remove rust stains on my tub. 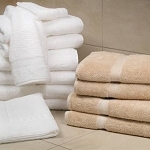 Like the price and made in USA too. 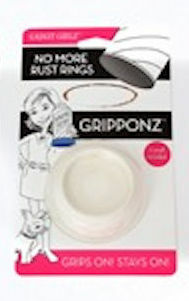 Grip Onz helped prevent rust stains from my favorite shave crème. A very practical solution. Very satisfied and highly recommend.